Dhaka, Feb 16 (Just News): The government will not interfere in preparing the certified copy of the graft verdict against Khaleda Zia, Law Minister Anisul Huq said today reflecting on allegations of dillydally in preparing it. “It’s not easy to type a 632-page verdict. It will be given to the lawyers in time. 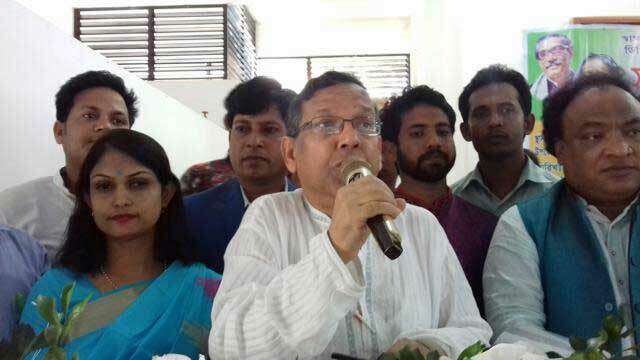 The government has no foul intention here,” the minister said at a programme in Brahmanbaria. BNP have been alleging the government of interfering and dillydallying the process of issuing the graft verdict copy, claiming that the ruling quarter wants Khaleda behind bars for a long time. “Khaleda has not been shown arrested in any other case,” the law minister said. He was speaking to reporters after visiting the dead body of a Akhaura upazila Awami League Leader Obaidul Haque. BNP Chairperson Begum Khaleda Zia is currently serving a five-year term in jail, convicted of Tk 2.10 crore graft in Zia Orphanage Trust case.